We now have a great selection of Front Firing Blank guns available for immediate shipment. Front Firing Blank Guns also called front venting blank guns fire flame and smoke from the front of the Barrel. Front Firing and all blank guns sold in the US by anyone must have a red tip on the end of the barrel by federal law. It is my understanding that if the item is used in the theatrical, movie, or television industry the red tip can be removed. Our Front Firing blank guns selection included; Front Firing P99 Walther Blank Gun, Front Firing UZI Full Auto blank gun, Front firing V92 and V92 Compact also Kimar M92 Front Firing, Front Firing Jackal fully automatic, 1911 Front Firing Kimar blank gun, Viper Revolver front firing blank gun, Front Firing Cougar or Dicle 8000, PPK front firer, SAVA Front Firing blank gun, PX4 Front Firing blank gun, Kimar M85 and Ekol V85 Blank gun Front Firing. 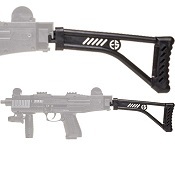 These are the highest quality most realistic Front Firing Blank Guns available. All of our Blank Guns are made of Metal. All of the Revolvers Revolve to set up the next Round and all of our Automatics blank guns have a magazine and will eject the spent round and reload the next round when fired just like a Real Fire Arm and are just as loud. All front firing blank guns will say front firing in the name and description. Scroll down to view several pages of our front firing blank guns.